Two years ago I wanted to buy ear plugs to wear under my Howard Leight muffs. For both, I got the ones with the highest NRR rating. I need to buy more ear plugs - has anything changed, and is there a brand superior to the Howard Leight ear plugs? I'm not sure what the difference is between these two; they are both 33 NRR. Is there now something better? SmokinNJokin wrote: ......keep your mouth open ......... pretty much negates a lot of the protection and is why most of us are pretty deaf. I have a deeply ingrained habit of opening my mouth when pulling the trigger that I don't even notice I am doing. Now that you write it, it sounds obvious, but nobody has ever mentioned that to me before. 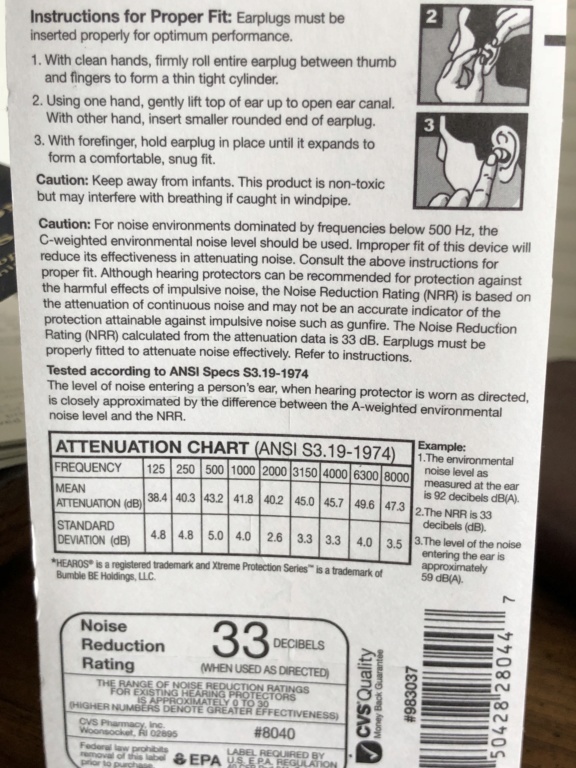 Howard Leight says their NRR 33 ear plugs are available at CVS Pharmacy. I'm down to using my last pair over and over again; will buy some this morning. I still don't know which ear plugs are "better", if any. Since I'm wearing them under my ear muffs, I assume the NRR rating isn't as critical, but no reason not to use "the best". The package states "...the Noise Reduction Rating (NRR) Is based on the attenuation of continuous noise and may not be an accurate indicator of the protection attainable against impulsive noise such as gunfire." That brings me back to my original question, how to find the best ear plugs for gunfire, or are these as good as it gets? I use the ones on right. The work great. The disposable foam ones are rated higher than any muff. Best to use both together. Someplace it said that they respond to different frequencies differently, and as you suggested, best to use both. If I remember correctly, someone up above suggested that a set of 30 muffs plus a pair of 33 plugs might end up actually giving a NRR of 34. Another page suggested that we use "electronic muffs" because they somehow change the sound making it less dangerous. Noise Cancelling, or something similar. But I can't find anything to back this up. The only thing I can tell for sure is that electronic muffs pick up "normal" sounds and amplify them through an internal speaker so you can hear them. Noplace have I found anything about electronic muffs on top of plugs. For that matter, the highest rated plugs I can find are 33. You may want to search for the military studies on hearing protection. A positive result of US foreign adventures is advances are made in medical technology and protection of military personnel. 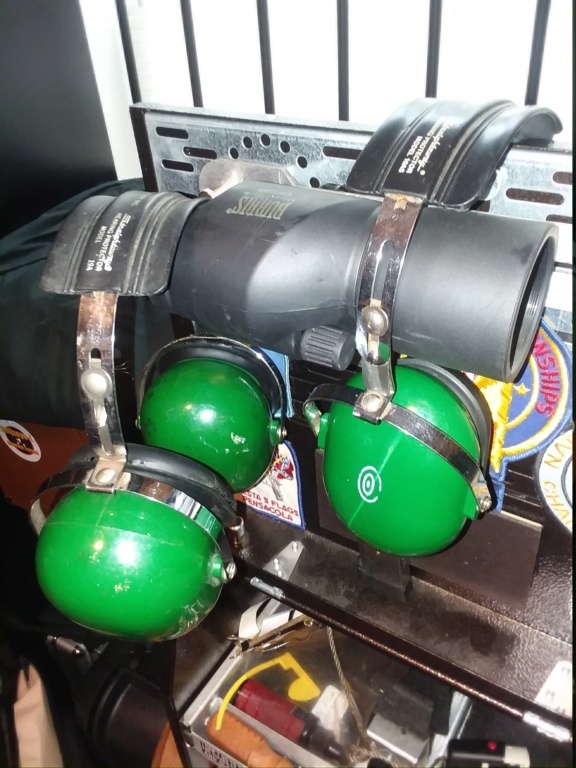 There are several studies made by the US military on hearing protection as the military tries to get the best protection practices and technology to keep trained personnel from becoming unservicable. The performance of foam ear plugs is dependent on proper installation. Best practice is to insert deeply and hold in place as they expand. Be careful as ear plugs can also pack earwax deep into the ear canal if the ear canal is not kept clean. I still can't believe the Vietnam era veterans that mentored me that worked around running aircraft APUs with no hearing protection. Discussions in the line shack and the breakroom were always loud. I stand on their shoulders. I guess earplugs and muffs would work. If you didn't have Clarks. LenV wrote: I guess earplugs and muffs would work. If you didn't have Clarks. Ever hot-rod the Clarks with better foam? Even better upgrade for david clarks, Oregon Aero hush kit. That plus earplugs is about as good as it gets. We used to wire 1/8 stereo jacks into an unused pin on the ICS box to play music from an ipod. New digital audio system a few years ago put an end to that modification. I remember flying over Baghdad every night, Metallica blasting over the ICS. Good times, almost 10 years ago. SmokinNJokin wrote: We used to wire 1/8 stereo jacks into an unused pin on the ICS box to play music from an ipod. New digital audio system a few years ago put an end to that modification. I remember flying over Baghdad every night, Metallica blasting over the ICS. Good times, almost 10 years ago.